There are many reasons for hair loss. And knowing about it before looking for supplements for hair loss can be wise. Hair follicles are in a constant state of change and have 3 main phases of growth and development. 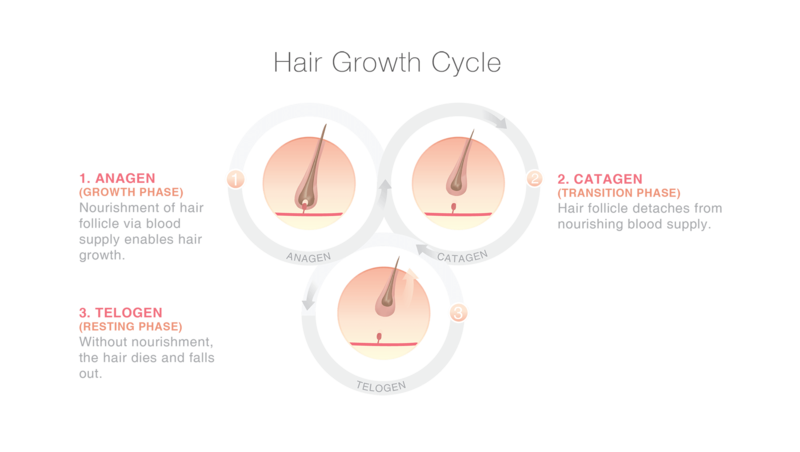 Firstly, there is the growth phase Anagen which refers to the phase where the hair is actively growing. This can be hair which is as old as 6 years. Phase 2 the catagen phase refers to hair growth which is transitional and where growth lasts between 2 and 3 weeks. The third and final phase is where the hair is considered to be finished its growth. The telogen phase is resting a resting phase where the hair is on the way to falling out naturally. Such hair growth and loss is a very natural process and everyone loses around 100 hairs every day through brushing and natural wastage. However, if you’re experiencing bald patches, this may be something more serious. Serious hair loss can be caused by several medical factors, for example, after major surgery you may experience dramatic hair loss as the body has experienced shock and the hair prematurely enters the Telogen phase. This is known as telogen effluvium and is quite normal. Hair growth in such circumstances generally returns to normal between 6-12 months following the operation. 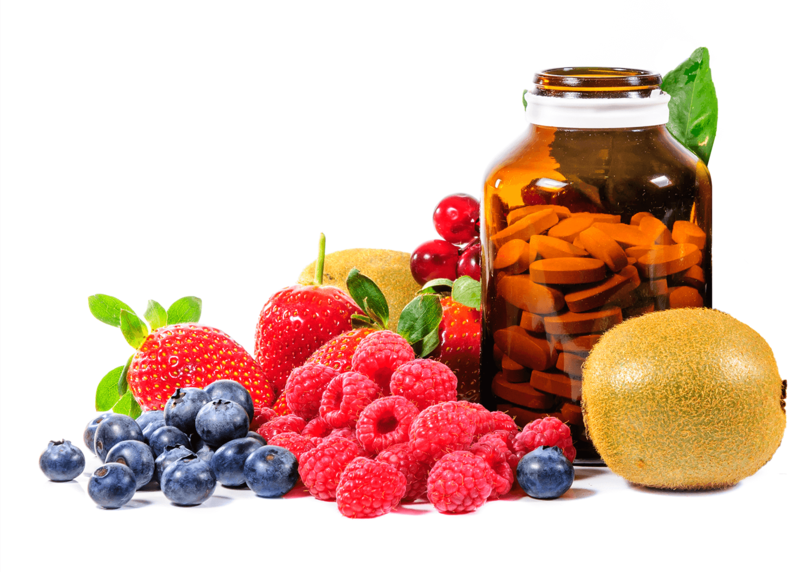 You can definitely influence this process and speed it up by adding minerals and vitamin supplements to your diet and ensuring that you eat a variety of foods such as fish, eggs, dairy and vitamin B, copper, and zinc mineral supplements. 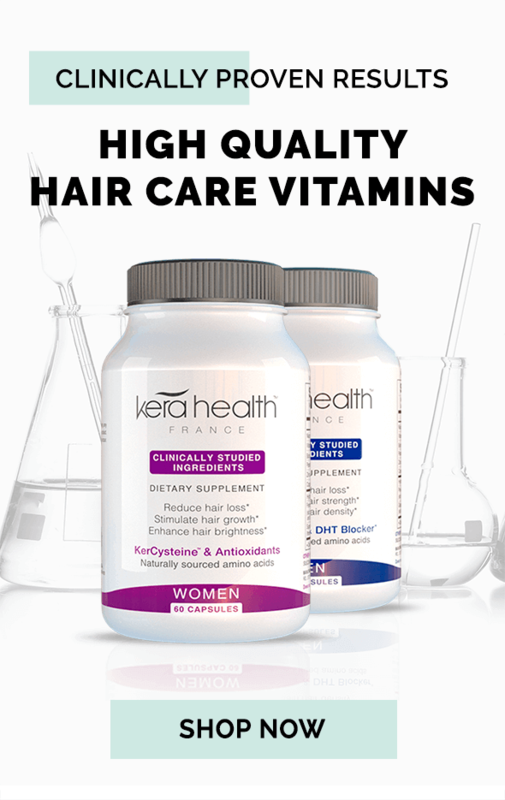 There are also a range of hair growth supplements which Kerahealth provide which will not only help your hair become healthier, but improve your general health also. Containing key ingredient KerCystine which block the effects of DHT, and a range of vitamins and minerals to nourish and thicken the hair and improve scalp condition, Kerahealth will also improve your general health by boosting your immune system.